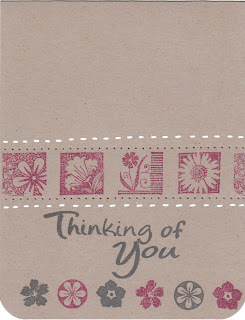 Here very quickly to post two cards for you today. The first is for this week's OCL DT challenge # 10. 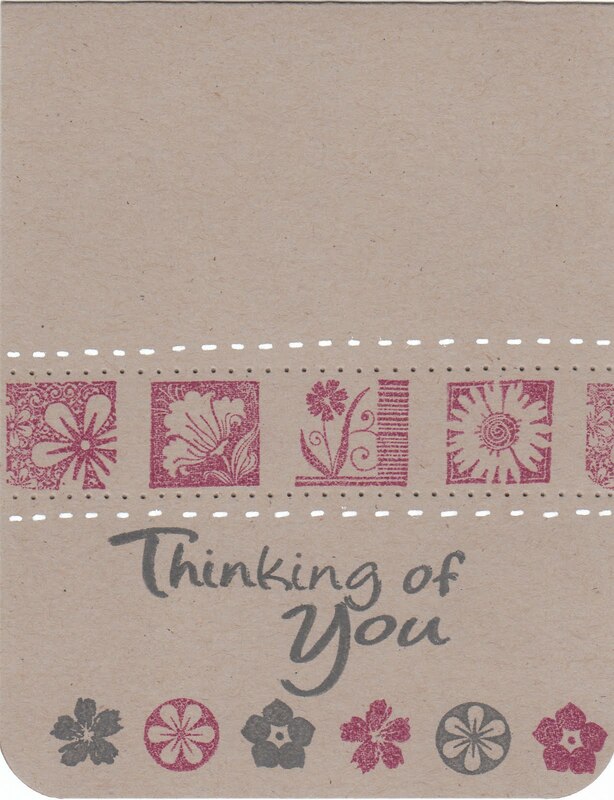 For this card I used Purely Pomegranate, Cool Caribbean, Celery and Kraft. I stamped the Caribbean piece with my Crosshatch background stamp. I ran the celery piece through the CB folder with the Spots and Dots embossing folder. I stamped the lighthouse from OCL's "Coastal Wishes" in black ink and then used some of my new Copic Markers to shade it in. I sponged some Soft Sky around the darker blues. I made it a bit splotchy to resemble sky and clouds. 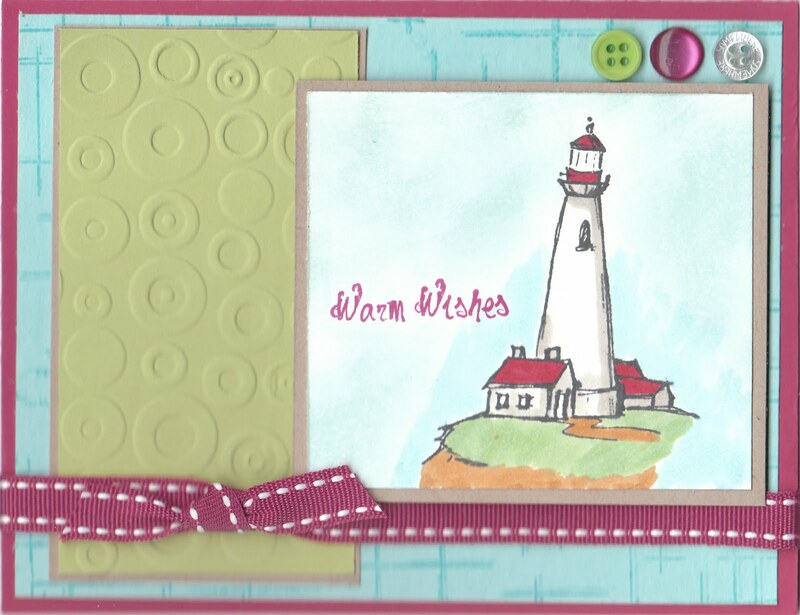 I added the ribbon and the little buttons at the top to finish the card. So that's all for me today. I hope you all have a fabulous weekend and I'll see you all on Monday!! GREAT cards, Dori! Keep playing - I love to look at it! 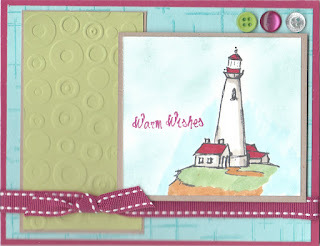 Very cute, love the embossing and the colored image is perfect!